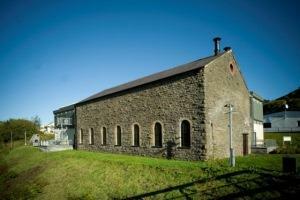 Winding House MuseumWinding House museum in New Tredegar offers an inspiring day out – and a warm Valleys welcome! Its attractions include a fascinating, hands-on exhibition on the hidden history of Caerphilly County Borough. From Romans to Revolutions, Castles to Cavaliers, the Iron Age to Iron Works - there’s lots to see, do and explore! The Winding House is built on the site of the former Elliot Colliery and the museum’s centre-piece is the original Victorian winding engine. This remarkable machinery is maintained by a team of dedicated and enthusiastic volunteers and is run on special event days and Bank Holidays. It may also be run for special interest groups by prior arrangement. The Winding House in New Tredegar is the museum for Caerphilly County Borough, with engaging exhibitions on local history and heritage, hands-on activities , research room, Gift Shop and Coffee Shop and an exciting events programme. Our Coffee Shop offers delicious, traditional cakes, teas and coffees. From the A465 Heads of the Valley Road - turn off the A465, onto the A469 signposted towards Rhymney. At each of the two following roundabouts, follow signs for Bargoed. Continue on this road for approximately four miles and it will take you directly into New Tredegar. From the direction of Caerphilly, take the A469 towards Ystrad Mynach. Stay on the A469 and follow signs for New Tredegar. Once in New Tredegar, follow the brown signs for ‘Elliot Colliery Winding House’.